Late in April 2014 a few dozen flyers were distributed in Brampton Ontario. 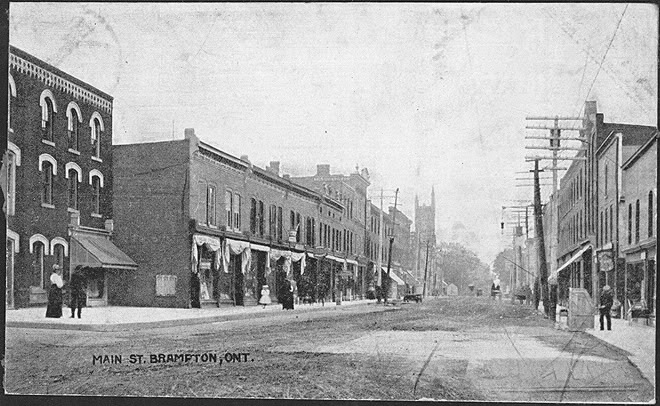 The flyer, entitled "The Changing Face of Brampton", showed an old black and white photograph of white Canadians in Brampton some decades ago. This picture was juxtaposed against a photo of a Sikh group. Beneath these photos the flyer stated: "From this...to this. Is this really what you want?" The reaction against this flyer was swift and hateful; in a few days the mainstream media, CBC, Toronto Star, Globe and Mail, and many other media outlets, went into high gear condemning the "racist" flyers. The premier of Ontario, Kathleen Wynne, lashed out at what she called a "hateful flyer" and issued a statement saying she will not tolerate the "hateful politics of division in Ontario". Employment Minister, Jason Kenney, dismissed the flyers as far outside mainstream Canadian opinion, "unacceptable expressions...on the fringe of the fringe". Peel Region police, under the suggestion of premier Wynn and Brampton Mayor Susan Fennell, said investigators would try to determine if the flyers could be considered a hate crime of any sort. "We've been given the information of their existence, we've seen them and we are looking into them but it's to determine whether or not there's any criminality to them", said Const. Fiona Thivierge. It was later determined that the flyers did not constitute hate speech. The anti-White elites would have to settle calling the flyers "despicable" and "disgusting". The intended message being that those who challenge immigration in Canada will be ostracized from the mainstream. "It is not racist to be concerned about growing cultural aggression against the society you were born in, that you love, and that your ancestors established, built and defended. Canadians have the right to defend and preserve their traditional established European culture. 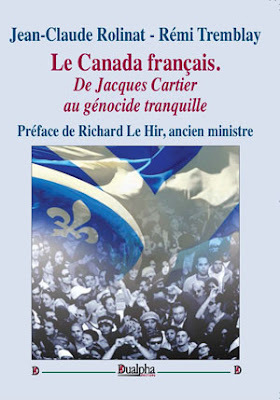 Ethnic enclaves that have become unrecognizable as Canadian, in which English or French are not spoken, inhabited by people who are not interested in assimilating, violate what it means to love your country and respect its culture. If you are new, the same thing applies. Love and respect the new country you came to. Don't attempt to recreate the one you left. This is Canada." "I believe there is a deep, ingrained desire by the majority of people to live in a homogeneous society. Exhibit One is Brampton itself. Tens of thousands of immigrants from a third world country immigrate to Canada, and have the opportunity to live anywhere across our vast nation, and fully integrate into the fabric of our society. They could have moved to Red Deer, or Kimberly, or Corner Brook. Instead, they wanted to live among their own. They wanted to share their unique culture, and be able to speak their language among their own kind. We see this time and time again. Iranians in North Vancouver. Caribbean's around Jane and Finch. Chinese in Richmond. South Asians in Brampton. In many of these areas, 'White Flight' has occurred, based on the desire of those of European stock to be surrounded in neighborhoods by those who share their same language and values. Multiculturalism is a myth. Great on paper, but in reality, it just doesn't work. Let's put our current immigration polices to a vote. We all know it would be a landslide in favour of halting or severely restricting immigration. Politicians of all stripes are self-serving cowards." "I lived here over 25 years ago, and moved away, I have been back for 2 years and am again moving away as it is like living in India! Fennell has made numerous trips to India to get these people here! I am sure the crime rate has risen. These people are socially ignorant, they are rude and they want to come here with all their beliefs' and expect us real Canadians to respect them! I think not! Why should we respect them when they certainly have no respect for us! ! My insurance rates increase as my insurance agent said it the worst driving area in Ontario! Susan Fennell once she is kicked to the curb as mayor needs to take them back to India and stay there with them!" A) Allow massive amounts of non-European immigrants to come to Canada, far outnumbering immigrants from traditional sources? B) Cause traditions that are enjoyed by the vast majority (such as Easter, Christmas and Halloween) to be re-named and/or marginalized? C) Ensure your offspring are often discriminated against in the hiring for many government positions, such as the RCMP? E) Make many Canadian cities unrecognizable in regards to current cultural makeup and language? In favour — Vote Yes. Opposed, or would like to discuss this in greater detail before approved, Vote No." "Immigrant Multiculturalism is an ideology promoted by white liberal elites who live in majority white neighborhoods. The ones paying for this are the white working class and now the middle classes. It is a totalitarian ideology that does not allow for dissent which is why the G&M does not print any article that is critical of this ideology, and the CBC as well. Even the National Post carefully addresses incidents of Muslim lack of assimilation, but never questions the replacement of Whites by non-Whites, which is the objective of this ideology being implemented in all European countries, and only in European countries. Japan, China, South Korea have below replacement fertility rates and globalized economies but they don't accept immigration. These countries have pride in their heritage and ethnicity, whereas European countries were taken over by cultural Marxists." Should we be surprised that today (24 May 2014) The Star published an article with an endearing title, Brampton Students Counter anti-Immigration Flyer with Positivity, in which no comments are allowed as they might disturb the "positivity" of mass immigration? It is about some high school students who came up with their own flyer about racial harmony and good feelings. At the top they use the same picture from the original flyer depicting white Canadians, and at the bottom they show an image of many races cheering about, well, about being part of a diverse group. Apparently, the white group is inferior to the racially diverse group. Why are the people who actually founded Canada — its culture, institutions, infrastructure — in need of replacement by non-White immigrants? Why is everyone so certain that a multiracial society is an improvement on a society that is majority European in ethnicity? These are questions no one in the mainstream is asking; rather, asking them risks being labeled "disgusting" and "hateful". We in the Council of European Canadians intend to ask these questions, and protect the interests and historical ancestry of the people who founded Canada. flyers mass immigration to Canada multicultism in Canada Ricardo Duchesne (contributor) Third-Worldization visible "minorities"